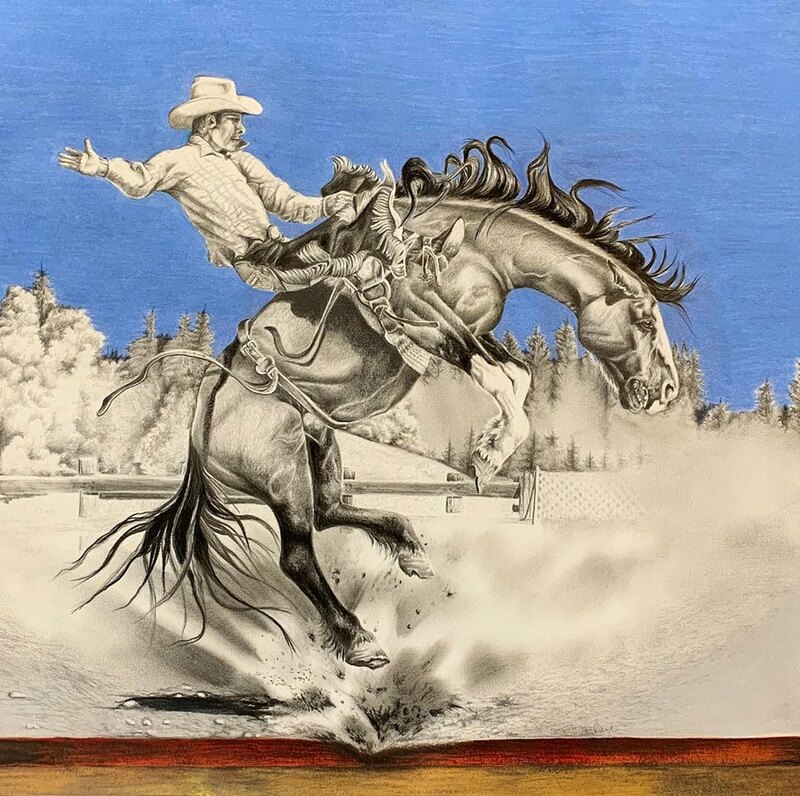 Sharlene Rayl is our 2019 Fortuna Rodeo Poster Artist! This year’s poster art was painted by the talented local artist Sharlene Rayl of Ferndale, California. This beautiful work of art done in colored pencil will be turned into this year’s poster. Keep an eye out for this poster to start popping up around town in the coming months. The original poster art, will be auctioned off during "Bulls, Broncs, Bands, and Brews" Saturday, July 20th between 7 - 8pm at the Rodeo Grounds. All proceeds will be used for improvements to beautiful Rohner Park! There will be 100 signed and numbered prints available for a donation of $100.00. Contact Sequoia Gas Company 926 Main St. Fortuna to get yours!